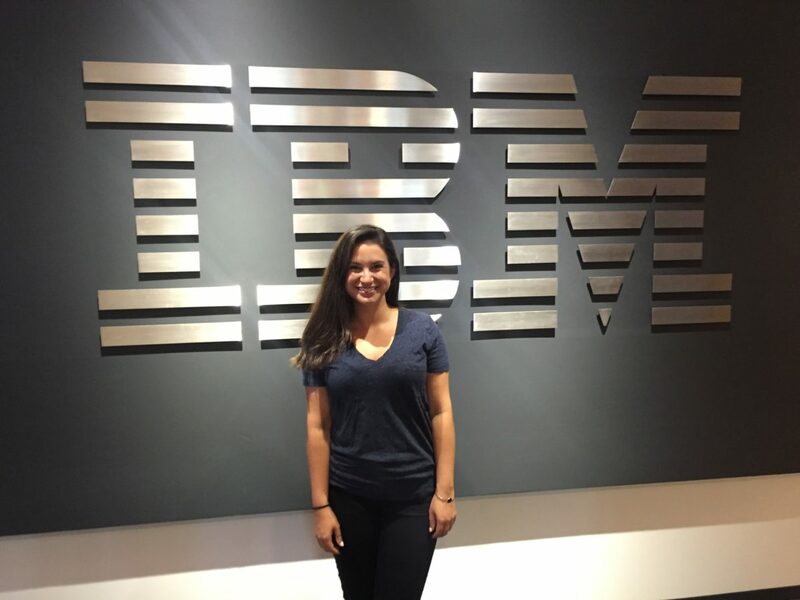 Like all Wharton students, Allie Miller, WG’17, had a team to help her to discover and achieve her dream internship in artificial intelligence and robotics at IBM Watson. Here’s how she did it. When I was five, I wanted to be an architect. When I was 10, I wanted to be a chemical engineer. And when I was 17, I was addicted to riddles and wanted to host a TV show about cryptology. None of these lofty dreams came true. Starting at Wharton, I had only a vague idea of my career goals. And by that I mean to say, I didn’t want to go into finance. Looking back on my first year at Wharton, I realized that the top-notch people, resources, and network helped me down a path of self-discovery and ultimately, got me that dream internship I never knew I wanted. What follows are the five critical steps to my journey, and the person or group with the biggest impact at each stage. Feel free to use this as a guideline, dinner table fodder, or printed-out kindling. Wharton does an incredible job of helping you find your path. I took at least three exhaustive online assessments, enabling me to better understand my leadership strengths, personality traits, and career matches. Career Management then encouraged me to reflect on the results with a critical eye, thinking about what companies, industries, and people inspired me and how those overlapped with who I am as a person and leader. I narrowed my target list to eight companies and was ready to start. But I had no idea what “start” meant. The options to gather information were endless — resume drops, cold emails, employer information sessions, office visits, club events, speaker events, classmates, professors, events in Philadelphia — the works. You see, no one at Wharton ever says, “Man, I can’t find anyone to talk to at Company X.” And on top of that, Second Year students take on the role of unpaid mentor (Hi Rick! Hi Rob! ), gracefully and graciously guiding you through the planning process with their own secrets for success. Wharton offers an unfathomable amount of leadership and career training. My favorite was the Executive Coaching and Leadership Program, where they match you with a personal Executive Coach (who would normally charge thousands of dollars) for free training and coaching on academics, career, and life. My spunky coach, Colleen Bracken, asked hard-hitting questions, helped me identify exactly what motivated me, and together, we customized a practical plan for squeezing the most juice out of life. Thanks to her, I was unstoppable. Company target list, done. Dynamite cover letter and resume, done. Network until you can’t feel your feet, done. Connect with the companies and people you admire, done. Career Management is Wharton’s version of the CIA — they have intelligence on everything that matters when it comes to recruiting. From previously asked interview questions to tips for cover letters to expected salary ranges, they’ve got it all (which means, you’ve got it all). For those still reading, I got my dream internship with IBM Watson for an exciting summer in artificial intelligence and robotics in Austin, TX. But for Wharton, this was only the beginning. Career Management kept in touch throughout the internship to better understand the company, interview process, and internship position — all to benefit the next class. When a school cares that much about relentless self-improvement, it’s yet another reminder that I’m incredibly lucky to be here!